In 2017, Spartan Race introduced a new “competitive wave” to most races in its circuit. Now, there are three waves you can choose from when signing up for a Spartan Race: Spartan Race Elite vs. Spartan Race Competitive vs. Spartan Race Open. 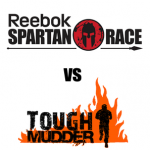 Unlike some other race series, you do not have to qualify for Spartan Race Elite or Spartan Race Competitive waves, so deciding which wave to enter can be difficult for someone who isn’t sure what to expect in each wave. 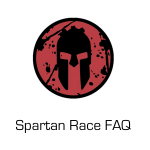 Luckily, we have the dirt and are here to make sure you have all your questions answered when it comes to deciding which Spartan Race wave is right for you. Ultimately, you will run the same course, regardless of which wave you choose, but knowing the difference between elite vs. competitive vs. open can make the difference between running the race you want and not enjoying yourself out on the course. What is the Spartan Race Open? When evaluating which wave is right for you, the Spartan Race Open wave should be the first to consider. Aside from being the cheapest option, it also offers more times and waves than both Spartan Elite vs Spartan Competitive combined. One major difference in the Open wave is that the “burpee-penalty” is not strictly enforced as it is in other waves. You’ll also notice plenty of racers helping each other through obstacles — there’s an understanding from obstacle officials that in open waves, anything goes. 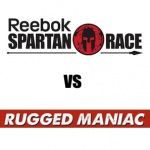 What is the Spartan Race Competitive? Once you’ve run a Spartan Race or two, and have dedicated a little more of your time in between races toward specific training might be ready for the Spartan Race Competitive wave. The Competitive waves start the race before the open waves, but after the Spartan Race Elite waves. 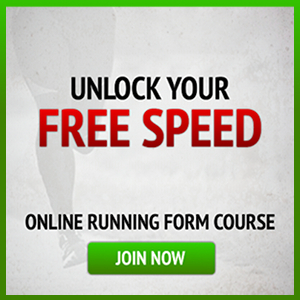 The advantage of running in this is that most obstacles are relatively open, and there is little bottlenecks which will help to improve your race time. While you aren’t eligible for prize money in the Competitive waves, burpee penalties are strictly enforced. The cost is a bit more expensive than Open waves, but less than Elite. This is a good test for most racers who are wanting to see if they have what it takes to ultimately take on an Elite Wave. **Spartan has recently stated they will do away with Competitive Wave in 2018, and replace with Age Group waves. More to come once more detail known. Enjoying this article? Read our ultimate Spartan Race Gear Guide. What is Spartan Race Elite? This wave is intended for the most competitive racers who want a shot at earning prize money at the end of a race. While anyone can sign up for a Spartan Race Elite wave, only the top 1-2% of racers should really consider entering. The prices are the highest, and rules officials pay close attention to all obstacles to ensure they are done fully and correctly. There is no difference between the medals that are handed out or the swag you’ll receive if you enter a Spartan Elite vs Spartan Open wave. 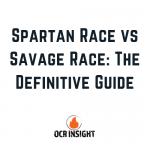 Measure yourself in the Competitive wave; only race Elite if you think you have a chance to win (which requires many Spartan Race’s under your belt to know if that is possible or not. As previously mentioned, the medals and race swag are the same no matter which race you enter. The golden rule for deciding whether The Spartan Race Elite wave is right for you is: if you have to ask, it’s probably not right for you. Decide between the Spartan Race Competitive vs Open, and once you start winning those events, you can move up to the big time.